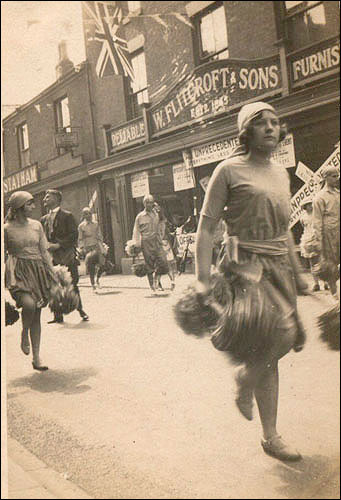 Wilmslow Carnival (not to be confused with Wilmslow Show) used to be held each summer. 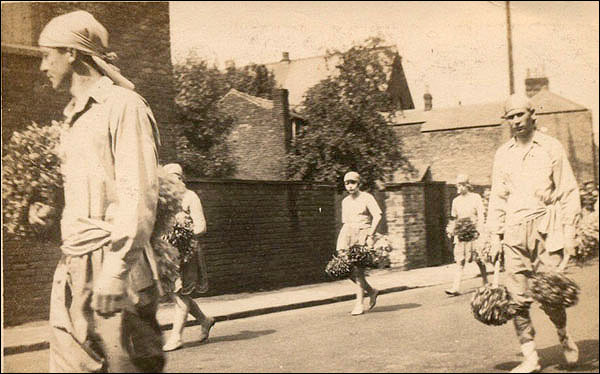 It started from the Carrs Field below St Bartholomew's Church and processed through the town, ending at at the Carnival Field. At least that's my recollection. 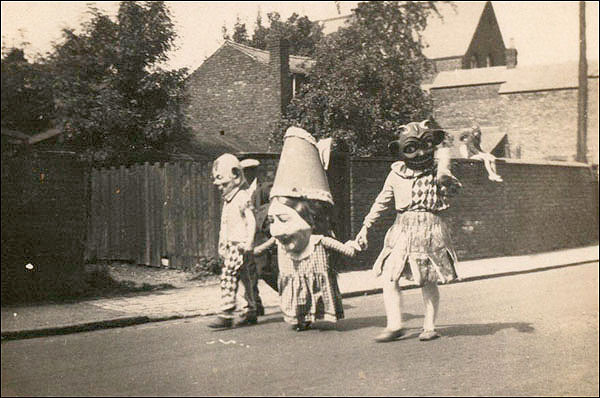 It used to be a major carnival in the area, attracting many floats, bands, parading children, a Carnival Queenand all the trimmings. 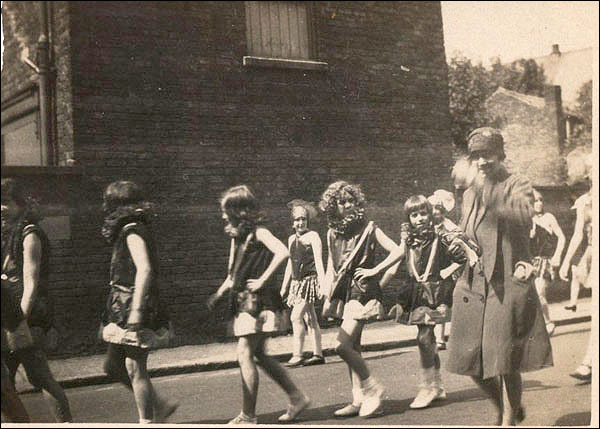 The origins of the carnival were the Wakes Week celebrations of the 1800's; the first actual Wilmslow Carnival was held in 1909, the last maybe around 1987? The Carnival always coincided with the feast of St Bartholomew which was adjudged to be the first Sunday after the 28th of August each year. If you have any information to improve on the little I know, then please email the website. 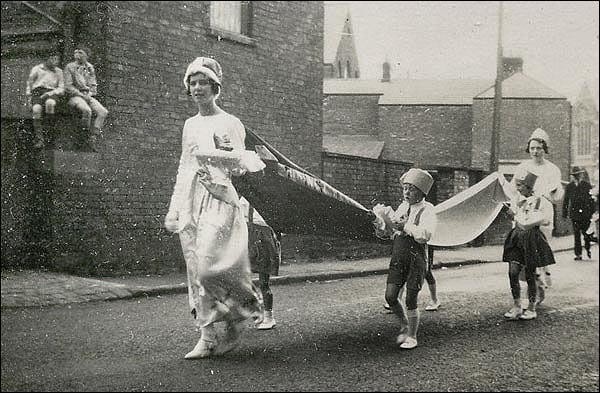 Below are some photos of the carnival taken by taken by Wilmslow resident Amy May in the early 1930s. Many are taken from her first floor window on Grove Street.